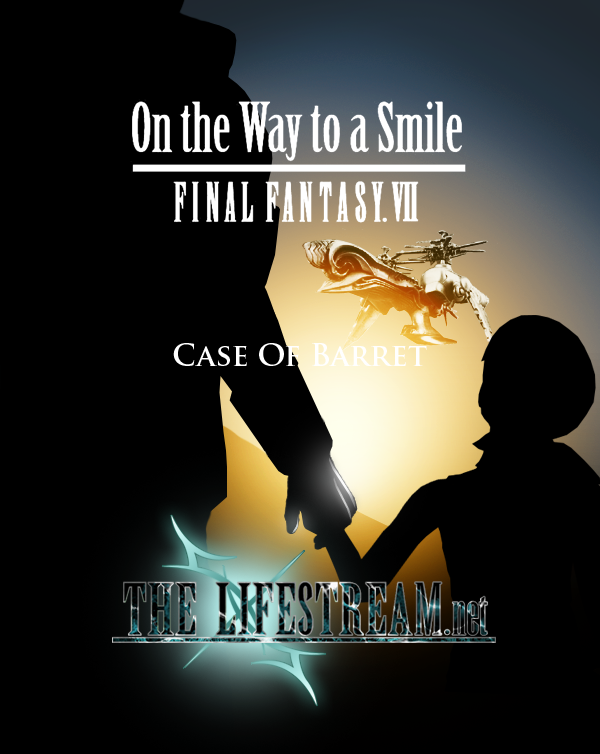 The latest On the Way to a Smile Novella from TLS is now out for your listening pleasure: On the Way to a Smile: Case of Barret! As previously, the Audiobook is available for you to be able to download in MP3 format for easy listening and transportation at the link below. If you’d rather, we also have the audiobook in two segments via the embedded YouTube clips, which have captions included so that you can read along while you listen. You can see the first one at the bottom of the article, and the second half can be viewed by clicking “Read the rest of this entry.” As always, we are very proud of all the hard work by the individuals that went into making this. We hope that you enjoy this latest presentation and look forward to your comments. Administrator. I played FFVII as a kid a few years after it was out, and joined up on the Advent Children Forums in Dec of '03, where I was a mod and site staff. I then helped take what was lost in that community when it dissolved and brought that knowledge and passion to a new home over on The Lifestream. My favourite games of the last several years are Crisis Core, Journey, Asura's Wrath, & FFXV. Excellent work as always, Pixel! Thank you for bringing yet another awsome audiobook! Just out of curiousity, which of the OTWTAS novellas will be next? 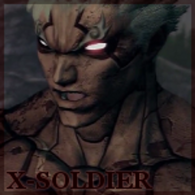 From what I can gather, there are only Nanaki, Yuffie and Shinra left to do. Have you recorded all audio or are there still spots to be filled with VAs? Casting is mostly done for everything. Just waiting on a few things here and there to continue production, but hopefully it wont take too long. are these audiobooks fan-fiction or have they come from square-enix? ahh thanks! wow! sorry i had to verify. i’m a fan of ff7, but this is the first time i have heard of theses stories. anyway, thanks a lot! i’ll try to download your audio books.. I was referred by my friend to this site, I browsed everything on it and t’was awesome. I realized that i was too behind with FF7. The last update i had was just the FF7: The Advent Children. But now, this Cases book of FF7 this was really fun. I’m an avid fan of FF7. And i was also amazed by your hardwork and dedication. I was hoping that the SE Mgt. will approved the FF7: Remake. Bunch thanks to you guys you really rock. So Yuffie is up next, and then RedXIII is after that from what I’m gathering, when will Cloud’s one come up in the line up? Anyways these are great! I’ve saved the mp3 versions and thrown them onto my Ipod, it really does help when there is either a long day ahead or something worthwhile to pass time with! I really thank you guys for taking the time to do this! It means a lot to all of us who love this world so much!